This is pretty much your average tale of iPad theft, until it suddenly turns into the plot of a Hollywood movie. In what will surely go down as one of the most dubious drugs busts in U.S. history, the San Jose Mercury News is reporting that around $35 million worth of crystal meth was seized from a San Jose apartment complex on Saturday – and all the police were looking for was a single stolen iPad. 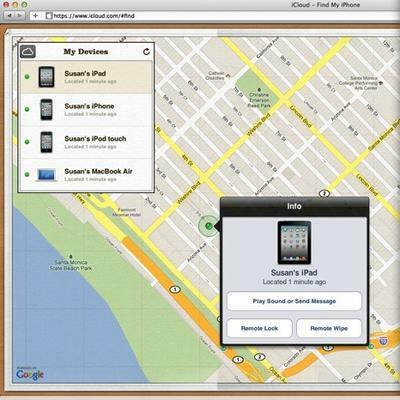 Apparently, once the device was reported stolen, Apple’s Find My iPad software managed to narrow the tablet’s location down to The Woods apartment complex in Santa Clara County. This next bit demonstrates how hard these thieving individuals worked to become 2012’s newest Darwin Award nominees: Officers didn’t have a search warrant, so they simply asked to search the premises. The occupants consented, and, “much to their amazement, the officers found 780 pounds of crystal meth scattered around the place, worth about $35 million,” San Jose Mercury News said. Probably not the intended use of Find My iPad. Not only is doing drugs bad, but turning on your Find My iPad functionality is a surprisingly sneaky tool for tracking down criminal types. Words to live by in today’s digital world. One has to wonder why stealing an iPad was necessary in the first place when over $35 million worth in drugs was just sitting in an apartment closet. Did the suspects not realize a newer iPad is being announced on Wednesday?